Every visitor (clergy, attorney, etc.) wanting to visit an inmate in this facility must show a picture I.D. and proof of place of employment each time you visit. These two items will be copied every visit and placed in the inmate’s packet to show proof that you were here on that specific date. 1. Inmates are eligible for visitation after they have had their initial hearing. 2. 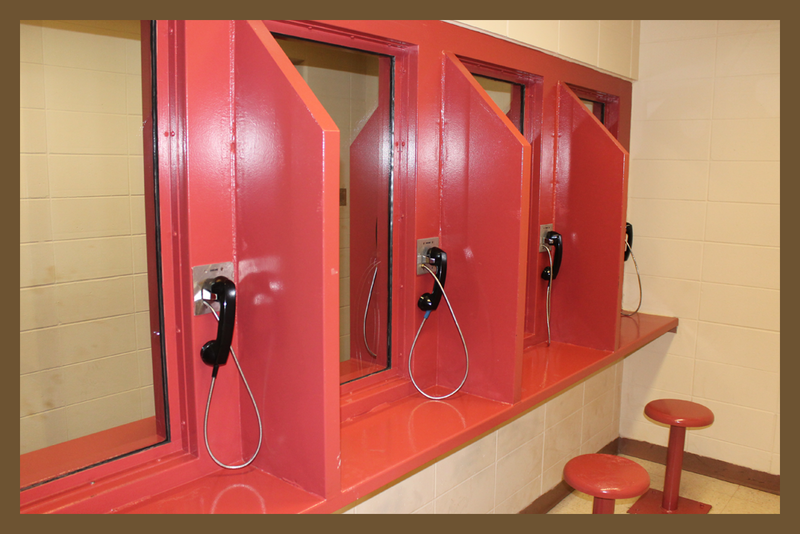 Visits are conducted via video conferencing either onsite at our jail or offsite at the convenience of a computer or cell device. 3. Visits will be a minimum of 25 minutes. 4. Video visits may be conducted on-site Mon-Fri 8am-3:35pm and Sat-Sun 12pm-4pm. All visitors will enter the building through the main entrance. 5. Video visits may be conducted remotely Sat-Sun 8am-8pm. 6. Video visits must be scheduled by your visitor 24 hours in advance. 7. You will be allowed (1) visit per day not to exceed (2) on-site and (2) off-site visits per week. 8. All video visits are subject to recording and monitoring. 9. Onsite visitors are required to maintain control of their personal property( coats, hats, etc.) or store such items in their vehicles prior to entering the jail. 10.Visitors are prohibited to enter the facility with and personal items not essential for medical care or visitation requirements(i.e. ID, vehicle keys, diaper bag). The Jail will not hold personal items for visitors. h. Visitors who are on work release or home detention. j. Visitors with a history of introducing or attempting to introduce a contraband or prohibited property into the facility. 13. Inmates and visitors will conduct themselves appropriately at all times for all visits. If an inmate or visitor does not conduct himself or herself properly, the Supervising Officer will prohibit the visitor from future visits. Maintain constant supervision of your children. This is not a playground and we do not want anyone to get hurt. Failure to cooperate will result in you being asked to leave.